Check out financial aid and scholarship opportunities for undocumented students. Financial aid is generally not available for undocumented students and illegal aliens. 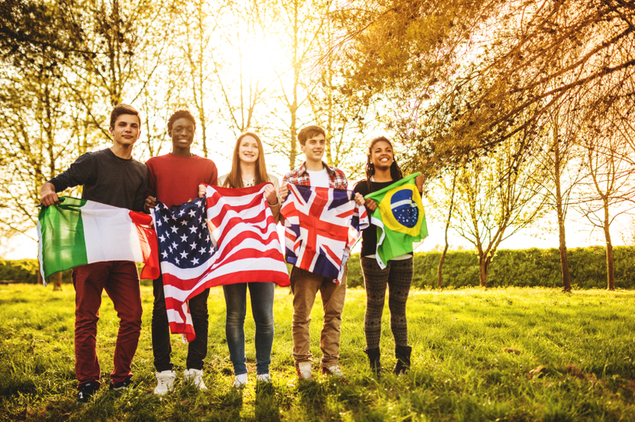 The majority of all student aid, including Federal student aid, requires the recipient to be a US citizen or permanent resident (green card holder) or an eligible non-citizen. There are, however, a few states that allow undocumented students to qualify for in-state tuition rates. There are also several private scholarships available to undocumented students. There is a conflict between Federal and State law regarding the eligibility of undocumented students for in-state tuition rates. Federal law passed in 1996 prohibits illegal aliens from receiving in-state tuition rates at public institutions of higher education. Specifically, Section 505 of the Illegal Immigration Reform and Immigrant Responsibility Act of 1996 states: "an alien who is not lawfully present in the United States shall not be eligible on the basis of residence within a State (or a political subdivision) for any postsecondary education benefit unless a citizen or national of the United States is eligible for such a benefit (in no less an amount, duration, and scope) without regard to whether the citizen or national is such a resident." Several states -- California, Colorado, Connecticut, Florida, Illinois, Kansas, Maryland, Minnesota, Nebraska, New Jersey, New Mexico, New York, Oregon, Texas, Utah and Washington -- have passed state laws providing in-state tuition benefits to illegal aliens who have attended high school in the state for three or more years. These state laws attempt to circumvent the federal law by simply not asking students whether they are in the US legally. They also circumvent the law by basing eligibility for in-state tuition on attendance at or graduation from an in-state high school and not on state residence. There is pending legislation in the House and Senate that would repeal the Federal restriction and make college more affordable for illegal aliens, which is commonly known as the DREAM Act. It would also provide a mechanism for undocumented students of good moral character to become legal permanent residents and to qualify for Federal student aid. Additional information can be obtained from the National Conference of State Legislatures site. Another potential source of financial aid is private scholarships. There are a few private scholarships for undocumented students that do not require the student to be a US citizen or resident or have a social security number in order to apply. Information about such scholarships can be found in the Fastweb scholarship search. Other good resources include the Mexican American Legal Defense and Educational Fund (MALDEF) (see especially the MALDEF List of Scholarships for Undocumented Students) and the Salvadoran American Leadership and Educational Fund. Another good resource for California students is Latino College Dollars: Scholarships for Latino Students. This directory directory includes several scholarships that do not require US citizenship and are available to undocumented students. See also Ayuda Financiera del Estudiante en Español. If the student is a US Citizen but one or more parents are undocumented, the student is eligible for federal student aid. However, if the parents supply a fake or stolen social security number (SSN) on the form, the student's FAFSA will be rejected when the parent's social security number fails to match. The FAFSA may also be rejected when the parents submit a SSN or Taxpayer Identification Number (TIN) that is valid for work purposes only. If the parents do not have a social security number or the social security number fails the match, they should use 000-00-0000 as their social security number on the FAFSA form. While undocumented students are prohibited from taking advantage of federal financial aid, there may be financial aid benefits for undocumented students from their state of residence or college of interest. States and colleges alike ask that undocumented students fill out the FAFSA in order to determine eligibility. For more information on student aid for illegal aliens and undocumented students, check out studentaid.gov.